Not sure if you like flying helicopters? Why we do not publish our prices? Well, would you buy a car just checking the sticker without opening the hood, checking the mileage and the title, or having a Carfax report? Why doing it when choosing your flight schools? It could sound odd but not publishing prices it is our way of being honest and more transparent, because we have nothing to hide but crystal clear info. We know somebody won’t be happy, but we do require our potential students to make an effort and dig a little deeper than a quick look at the standardized price published on flight school webpages. There are so many key info that can make a difference between a failure and a successful training, between a fair/clear estimate and an unexpected higher final cost. Standard prices say nothing about the training location and the impact on your training. Just a quick example: Are you aware that most class D airports unfortunately does not allow helicopter training in the airport or its airspace? The consequences? 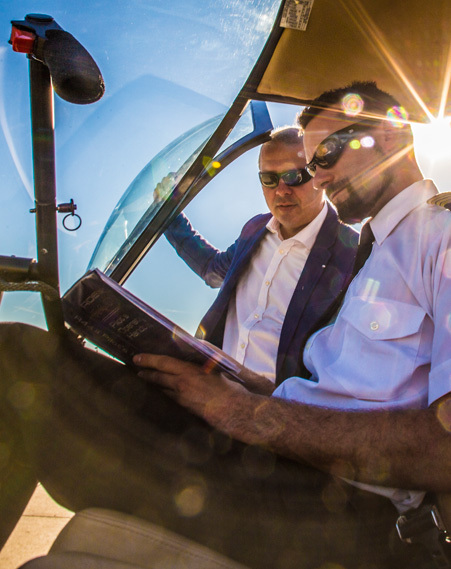 For each and every flight lesson the student has to fly with instructor from the flight school airport to more ‘friendly’ airports to do training – time and money out of students’ pocket of course! Standard prices are most of the time not only ‘incomplete’ but usually estimated using a ‘optimistic’ approach, often assuming the student will get the license based on minimum FAA requirements (when although legitimate everybody knows will hardly happen). So instead of a more realistic and honest estimate, standard estimates are lower just to attract students. It’s time to go beyond a standardized web price… and we are looking for students that are curious enough and eager enough to go beyond a click or a standardized website price to find the best provider for them. Give yourself the opportunity to get you a more complete and honest data of the whole picture. Look for real and helpful info to help decide where, how and who to learn from how to fly safely, proficiency…and with a bit of fun. We are very confident in our standard and professionalism and we like all enquiries, especially the specific and detailed ones because we love offering personalized, customized and fair training estimate. It‘s our chance to share info about us, our philosophy, our approach, our courses…and our prices obviously! Send us your request, call us, or just stop by if you have the chance. You won’t be disappointed.